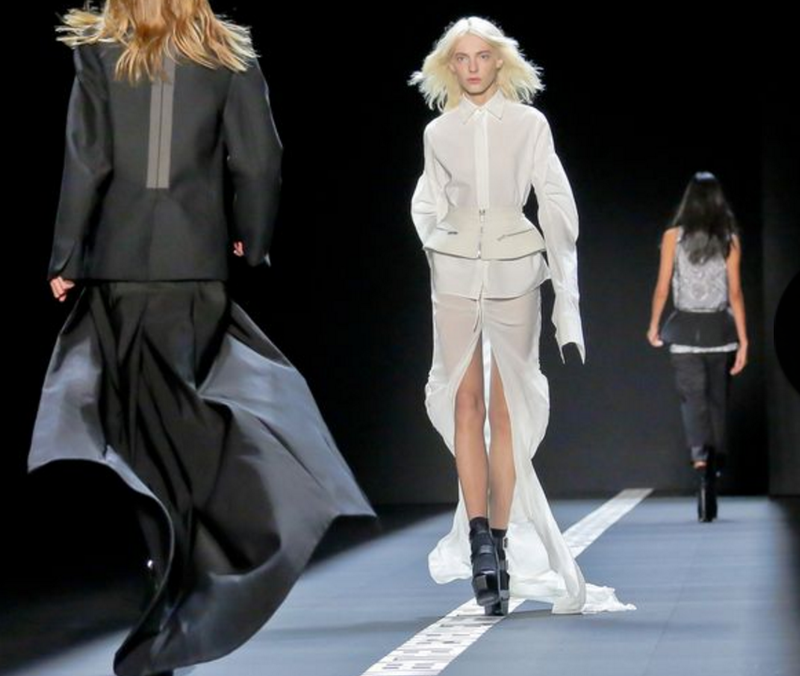 Day 7 (Tuesday) at New York Fashion Week was full of some big names. 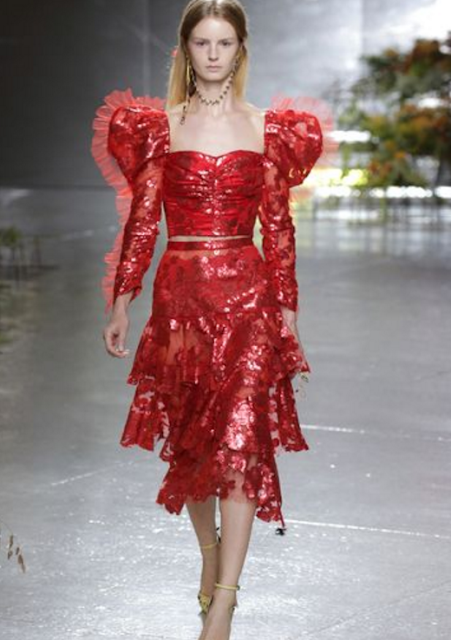 For gowns, Vera Wang and Rodarte presented, with others including names among the likes of Tory Burch and Coach. 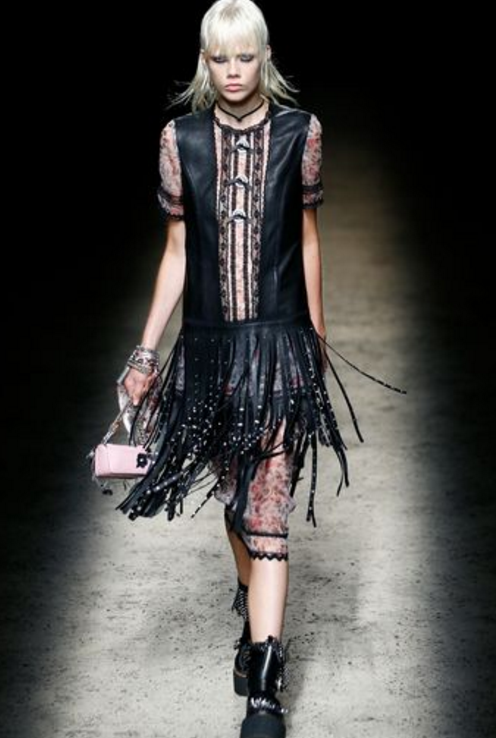 There were many monochromatic looks featured throughout the day, particularly at Vera Wang, with shades of pink and reds at Coach. 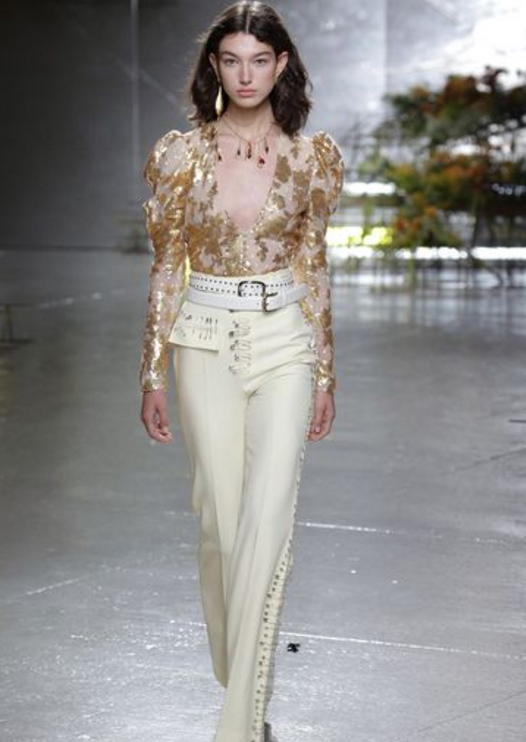 Beautiful, airy, pastel colors at Monique Lhuillier mixed with some metallic floral prints against black lace. 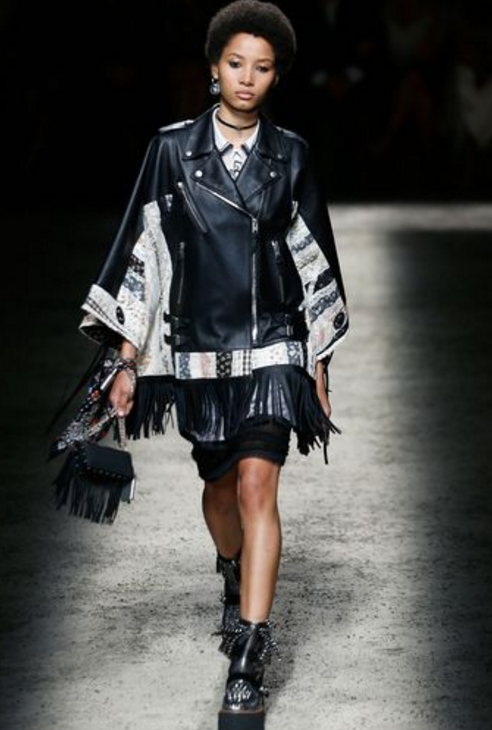 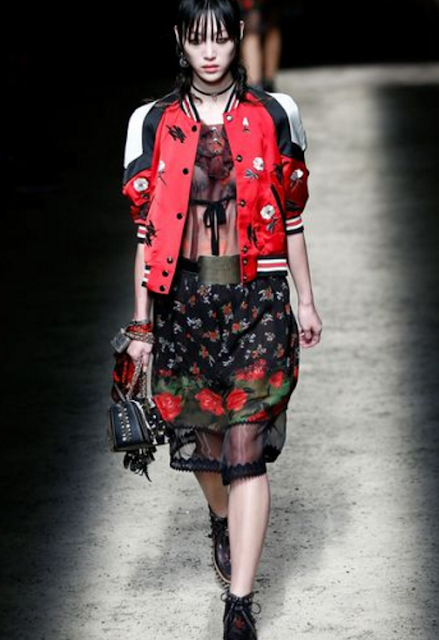 Coach went for some dark, grungy styles, with lots of leather and fringing, studs, biker boots and of course, the still trending bomber jacket. 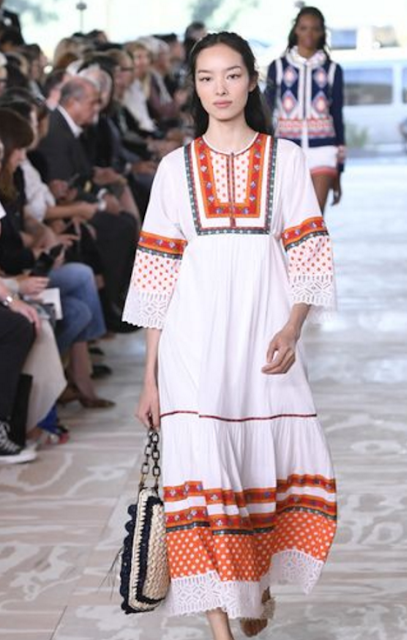 Tory Burch showed us a classic collection, worthy of the Upper East side, with a real preppy feel to it. 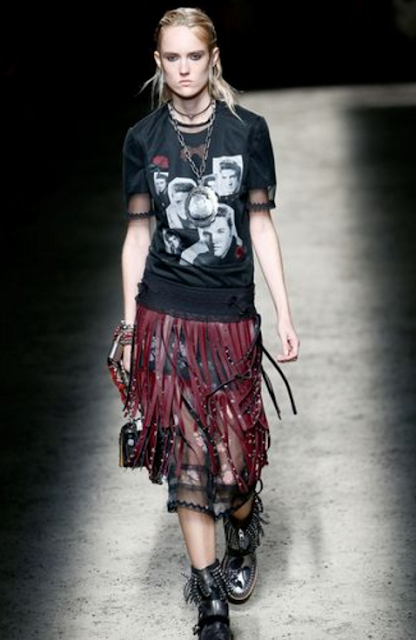 Collection included stripes and many interesting, quirky, prints. 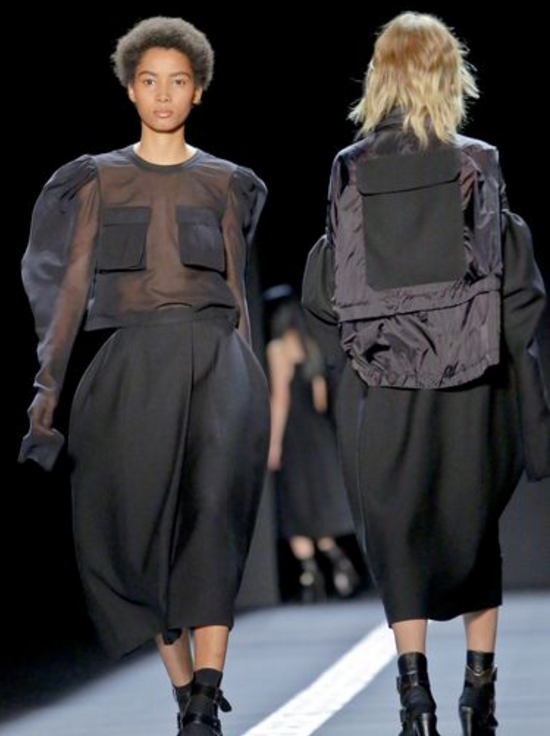 Vera Wang showed us a lot of black in the gowns presented at the collection. There were elements of tailoring which was contrasted against many sheer fabrics and beaded pieces. 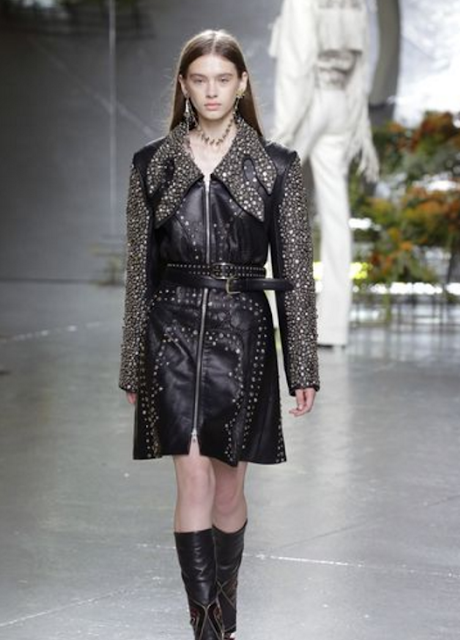 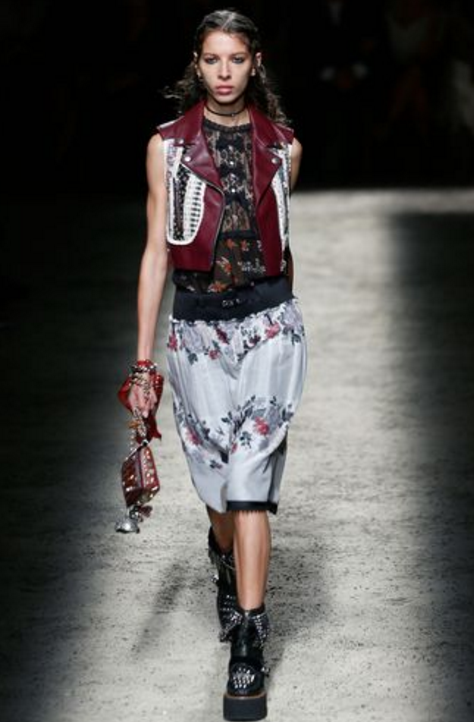 Rodarte’s collection was a beautiful evening collection with a little bit of a glam rock feel. 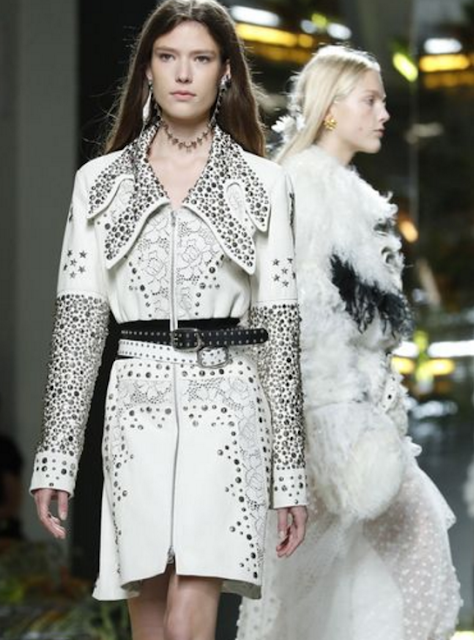 Complete with with sequins, embellishment, some leather, fur and beautifully cut gowns.